Amazon’s ongoing rivalry with Google is heating up, and it’s now setting its sights on some of the stars of Google-owned YouTube. Amazon is offering exclusive deals, sometimes with multi-million dollar salaries attached, to content creators in an effort to convince them to stick with Twitch instead of its rival, YouTube,Bloomberg’s Lucas Shaw reports. YouTube is a behemoth when it comes to unique viewers – it had more than 10 times Twitch’s 11 million unique visits in June, according to ComScore. But YouTube has been weathering a rocky year as it continues to manage its relationships with content creators, and Amazon is looking to capitalise on it. 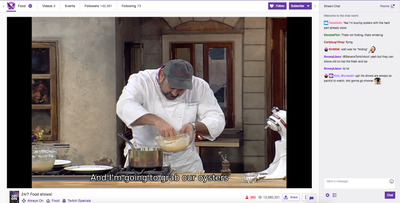 No longer just a video game streaming site, Twitch allows all sorts of streaming – from IRL (in real life) streams of everyday life, to dedicated baking and cooking channels, Twitch is hoping to expand its audience – and it reportedly has set an internal goal of $US1 billion in ad revenue. YouTube isn’t staying passive, however, as Bloomberg reports the company is offering payments to creators if they don’t take any deals with competitors like Twitch.